The first time I heard the word âcleanâ in relation to food was way back in the mid 1990s. I attended a conference about supermarket trends, and learned that grocery chains were starting to âclean upâ store brand ingredient lists by removing unrecognizable terms. Back then, this move was considered controversial, because it involved doing away with added nutrients, listed by their technical, non-household names (like pantothenic acid, a B vitamin), as well as eliminating preservatives, which meant short shelf lives (e.g. would consumers really want bread that gets hard or moldy within a few days?). But, the writing was on the wall. Consumers were starting to pay attention to how foods were made, and what they were made of, health food stores were attracting more and more customers, and Wild Oats Markets (a chain of natural food stores and farmerâs markets, later acquired by Whole Foods) experienced a remarkable 4-year growth of 544% between 1989 and 1993, making it one of the fastest growing small companies in America. This one is pretty straightforward--instead of a banana nut muffin, eat a banana and some nuts! 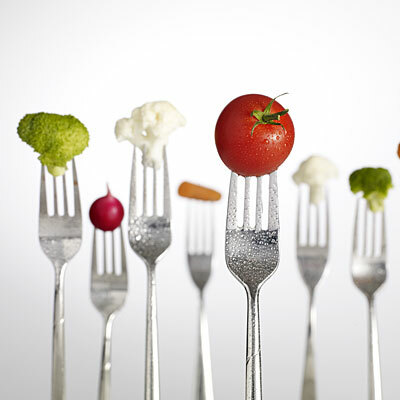 The primary principle of eating clean is to replace processed foods with fresh and natural foods. To me, this means foods that havenât had anything added to them, and havenât had anything valuable taken away. So, even if youâre not growing quinoa in your back yard, you can buy this whole grain in the bulk section of your market, or in a box, where the only ingredient is quinoa, and only quinoa. Thatâs a far cry from a refined grain, thatâs been stripped of its fiber-rich bran (outer skin) and nutritious germ (the inner part that sprouts into a new plant), bleached, and doctored up with preservatives. I donât think itâs realistic to never eat anything that comes out of a jar, box, or bag, but when you do, the very first thing a clean eater looks at is the ingredient list. Reading it is the only way to really know whatâs in your food, and choose foods that are as close to their natural state as possible. For example, I was once at the market with a client who was on a mission to clean up her diet. She said, âI bet crackers are out of the question, right?â My response was, âLetâs look at the ingredients!â I picked up one of my favorite brands, which are made with: organic short grain brown rice, organic whole quinoa, organic pumpkin seeds, organic sunflower seeds, organic brown flax seeds, organic brown sesame seeds, organic poppyseeds, filtered water, sea salt, organic sea weed, organic black pepper, organic herbs â all ârealâ and recognizable ingredients; a list that practically reads like a recipe I could recreate in my own kitchen. We then checked out her usual brand, made with (among other things): sodium acid pyrophosphate, monocalcium phosphate, and TBHQ (short for tertiary butylhydroquinone). Dumfounded she said, âI saw reduced fat on the box and assumed it was OK, I never even thought about reading the ingredients.â Bingo! Clean eating is about focusing on quality first, and not letting terms like zero trans fat, low sodium, or sugar free, fool you into thinking that a processed food is healthy. In addition to reading ingredient lists, so you can ditch products made with artificial additives, including flavors, sweeteners, colors, and preservatives, clean eating is about steering clear of foods made from genetically modified organisms, and those treated with hormones and antibiotics, and going organic when possible, to reduce foodsÂ grown with man-made pesticides and fertilizers. In my opinion, clean eating considers how these issues affect you, as well as how they influence the planet, and their bearing on a sustainable food supply. In other words, in addition to choosing not to pollute your body with substances that serve no biological purpose, clean eating is also about connecting the dots regarding how food production impacts issues like the rise in antibiotic-resistant bacteria, algae blooms, and âdead zonesâ in our oceans, and the effects of substances like BPA on our metabolisms. This is why clean eating is a movement, not a trend. One aspect clean eating I really love is replacing packaged foods with homemade versions, from salad dressing to energy bars, and everything in between. I call it âretrotarianâ eating, because it harkens back to a time before things like frozen chicken nuggets existed, and many of the do-it-yourself substitutes are very simple. For example, when I make a stir fry, instead of buying a pre-made sauce, laden with sodium, sugar and preservatives, I whisk together a little brown rice vinegar, fresh squeezed citrus juice, minced garlic, and fresh grated ginger. These days, you can find a clean recipe for just about anything, including five-ingredient ice cream, and âold schoolâ food trends, like homemade baby food, and pickling veggies in Mason jars, are making major comebacks. Cynthia SassÂ is a registered dietitian with masterâs degrees in both nutrition science and public health. Frequently seen onÂ national TV, sheâs Healthâs contributing nutrition editor, and privately counselsÂ clientsÂ in New York, Los Angeles, and long distance. Cynthia is currently the sports nutrition consultant to the New York Rangers NHL team and the Tampa Bay Rays MLB team, and is board certified as a specialist in sports dietetics. Her latest New York Times best seller isÂ S.A.S.S! Yourself Slim: Conquer Cravings, Drop Pounds and Lose Inches. Connect with Cynthia onÂ Facebook,Â TwitterÂ andÂ Pinterest.